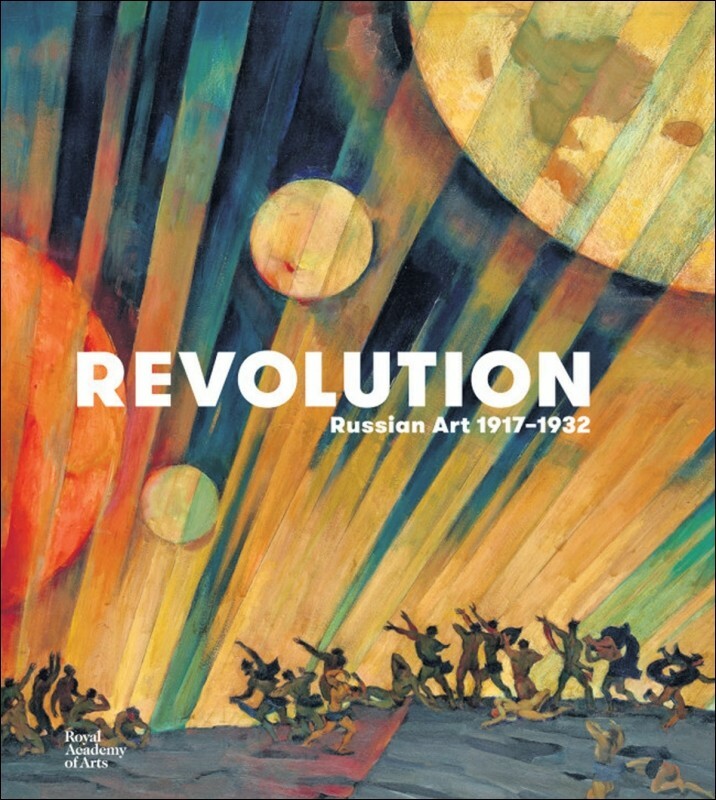 The Royal Academy of Arts in London marked the beginning of the centenary of the Russian revolution with a major new show tracing the role art played in building the fledgling workers’ state. But it uses the exhibition to denounce the Bolsheviks who led it. 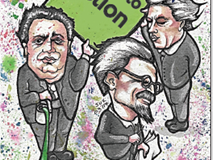 Along the way, it has even adopted one of Stalin’s old tricks – airbrushing Trotsky out of history. The Russian revolution is still sending shockwaves around the world a century on. 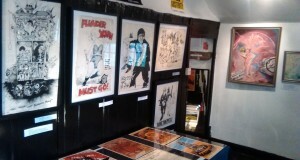 This exhibition proves that. The timespan it covers includes the foundation of the world’s first workers’ state, under the leadership of the Bolshevik party, through to the consolidation of the counterrevolution led by Stalin. It echoes an exhibition held in Leningrad (St Petersburg) in 1932, and in Moscow – though altered – the following year. The Royal Academy assembled an impressive collection of paintings, photographs, models, sculptures and film. It was a major undertaking. Much of the work is striking, thought–provoking – inspirational even. Trying to convey what was going on in those turbulent times can be difficult. The Royal Academy has opted for the themed room route. It uses this format to hammer home its basic points: the October revolution was a coup; the Bolsheviks were anti–democratic; they opposed the peasantry; and Lenin led straight to Stalin, so the latter’s systematic repression represented a seamless continuation. We are used to the art establishment taking this road but the Royal Academy has gone further than most. It denounces every aspect of the revolution, even the beginning. An important part of explaining the socialist alternative involves understanding why and how the revolution in Russia degenerated into Stalinist brutality.  The Royal Academy’s show is an obstacle to that. Its opening shot is fired in the first section, ‘Salute the leader’. Portraits of Vladimir Lenin stand shoulder to shoulder with those of Joseph Stalin. The connection is explicit. Stalin would approve – that was precisely the message his regime wanted. Tellingly, nearly all the paintings here date from the late 1920s into the 1930s, after Lenin’s death. There is a massive elephant in this and every other room. It’s not that he does not figure at all. Leon Trotsky can be seen in enamel on the side of a cup from 1923 – sharing a glass cabinet with Stalin plates. Yet Trotsky was no mug. He was the co-leader of the October revolution along with Lenin, and the organiser of the Red Army which defended the new workers’ state from bloody capitalist overthrow. A key part of the consolidation of Stalin’s counterrevolution was marginalising Trotsky and the democratic, internationalist ‘Left Opposition’ he led in the mid–1920s. Trotsky would spend the final 20 years of his life fighting against the dictatorial bureaucratisation of the Soviet regime, campaigning for workers’ democracy, rallying international forces – including artists – in opposition to Stalinism and fascism. This has earned him the respect of generations of socialists. It also ensured his death in 1940, hacked down in his office in Mexico by one of Stalin’s agents. At the time of the February revolution of 1917, the Bolsheviks had 20,000 members. They were in a small minority in the democratic workers’, soldiers’ and peasants’ councils – called ‘soviets’ in Russian – that burst onto the scene. The soviets would become a parallel government – based on the direct representation of millions. During the year, the Bolsheviks gained majority support in the soviets for their programme of the socialist transformation of society. When Trotsky led the insurrection in the capital, Petrograd, it was achieved in one night by 20,000 Red Guards. 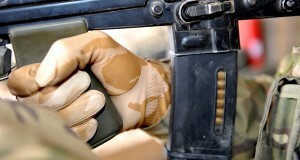 They were made up mainly of workers with basic military training and organisation. At the time there were over 150,000 soldiers in the city, and hundreds of thousands of politically active workers. The Bolsheviks could only have led the takeover of Petrograd, then the rest of Russia, if they had the backing of those workers and soldiers, as well as the poor peasants. Such a situation cannot be described as a coup. The Bolsheviks did not ban the church. They disestablished it. The decree issued by the Council of People’s Commissars (the first elected Soviet government, headed by Lenin) – ‘Freedom of Conscience and on Clerical and Religious Societies’ – was passed in 1918. The first section stated simply: “The church is hereby separated from the state.” Section 3: “Every citizen is free to profess any religion or profess none. All deprivations of rights connected with the profession or non-profession of any religion are hereby abolished.” The final section (13) nationalised the large landholdings and property held by the church – in the same way as the holdings of big companies and very rich individuals. The buildings were then freed up for congregational use. The Royal Academy states that “although Lenin had personally opposed Stalin as his successor, the cult status Lenin acquired after his death legitimised Bolshevik power and eventually Stalin’s autocratic rule.” That is half right, although it perpetuates the ‘Lenin = Stalin’ myth. It goes nowhere near explaining how top-down bureaucratic rule could consolidate its grip on power. Most people in Russia were extremely poor. The majority were illiterate – neither the tsar nor the church had any interest in educating the masses. In the first instance, the Soviet regime was compelled to make use of administrators who had been in place under the tsar. To enable workers and peasants to fully participate in the running of society required a huge programme of education and training. In the meantime, Russia was invaded by the armies of France, Germany, Britain, the US, Japan, Czechoslovakia, and more. They backed pro-tsarist generals and other fascistic, reactionary forces trying to grab power back for the deposed aristocracy, landowners and capitalists. Against the background of an economy already shattered under the tsarist dictatorship’s excesses and corruption; the disastrous involvement in the First World War as an ally of French, British and US imperialism; poverty and starvation, then invasion and civil war – the majority of workers and peasants did not have the time or energy to run society. The only way out would have been through successful revolutions in other countries, especially in economically advanced western Europe and the USA. The failure of this, due in large part to poor leadership in this countries, isolated Soviet Russia and provided fertile ground for a bureaucratic layer to solidify. No–one can expect an art exhibition to go into such detail. However, not to mention these fundamental processes makes it impossible to understand what was taking place. It even makes the art incomprehensible. Art ultimately reflects life. Not necessarily directly or in a straightforward way. Human beings, after all, possess amazingly powerful imaginations. But by misrepresenting what was happening in society, the art reflecting those processes can only be misrepresented in turn. The ‘New city, new society: war communism’ room opened up another front. “In the hands of inexperienced workers and soldiers, the economy and infrastructure collapsed and great hardship ensued.” This is breathtakingly condescending. From its ivory tower the Royal Academy is saying to the working class that it is incapable of changing society, don’t even try. There is no word of the dire situation prior to the revolution, the completely rotten nature of the tsarist system. And what was the alternative? After February, a succession of liberal pro-capitalist governments fell apart, unable to establish anything approaching stable rule. This reflected the weakness of Russian capitalism. The only choice in 1917 was between brutal military dictatorship under one of the former tsarist generals, or the formation of a workers’ state, looking to support from the international working class. Of the two perspectives, the latter was by far the most positive – and following the October revolution it seemed a likely prospect. Isolated, however, the Soviet regime faced a daunting task. Trotsky described it clearly: “Once it takes power the working class takes possession of the nation’s national inheritance – and it is not given the option of rejecting any part of that inheritance… True, the Soviet power at a stroke of a pen renounced the payment of debts on [tsarist] loans. But in the final analysis they were only an insignificant part of the country’s historical liabilities. It is remarkable what was achieved given the huge difficulties. Illiteracy was all but eliminated, wide-ranging health, housing, employment and education services provided. This was only possible due to the nationalised planned economy. Nonetheless, under the Stalinist system this came at colossal human cost, paid in millions of lives. The ‘Eternal revolution’ room states: “Many Russian artists, philosophers and writers were nostalgic for the beauty and charm of the old Russia, rapidly disappearing under the boot of the proletarian masses.” So the Bolsheviks were a bunch of thugs, the workers their boot-boys and boot-girls. It glosses over the question of who had ever been able to enjoy the “beauty and charm of the old Russia.” Certainly not the vast majority labouring on the land under the feudal yoke, or workers crammed into infested city slums.  It harks back to a time when art was the exclusive preserve of the rich, in the hands of private collections and dealerships – before the Bolsheviks nationalised them, and put them in museums open to the public. What is being missed is that this contradicts the Royal Academy’s recognition that in the years immediately following the revolution, art, music, theatre, literature, design and architecture saw an incredible explosion of innovation. Sixsmith equates socialism with Stalinism in order to discredit the former. In reality, the Stalinists claimed to be socialists as camouflage for totalitarianism! The unanswered question, however, is what had changed between the “tolerant” Bolsheviks and their later incarnation. The answer is the rise of the privileged bureaucracy, a parasitic caste feeding off the nationalised economy while destroying its democratic structures, its survival reinforced by eradicating any opposition. In the early 1920s, Trotsky was already warning of the dangers associated with ideas around ‘proletarian culture’ (‘Literature and Revolution’, 1924). It would be in April 1932 that Stalinism imposed ‘socialist realism’ as the only acceptable form of artistic expression – alongside ‘proletarian literature’. From then on, art had to glorify the regime, Stalin above all. This was not an isolated phenomenon. It was part of Stalin’s overall attack on workers’ democracy. The two are inseparable. By the time we get to the ‘Fate of the peasant’ section we are braced for another sweeping and groundless assertion. The Royal Academy does not disappoint. “When the Bolsheviks came to power in 1917, they promised the peasants ownership of the land, a pledge they had no intention of keeping.” The evidence presented is that in 1928 the Stalinist regime imposed the forced collectivisation of the land – eleven years after the October revolution. This top-down edict resulted in the deaths of millions of people, mainly through the famines it caused. It was a policy many of the revolutionary ‘old Bolsheviks’, including Trotsky, opposed. Trotsky, however, had been expelled from the Communist Party in 1927, and sent into exile in January 1928. During the press viewing on 7 February, a Royal Academy curator said the Bolsheviks were not interested in the peasants because their aim was to set up a “dictatorship of the proletariat.” More doublespeak. “The dictatorship of the proletariat” was a phrase coined by Karl Marx in the 19th century. He meant a state and system run by and in the interests of the working class – along with poor and oppressed people, and many middle-class layers. In equal measure, Marx described any state run in the interests of the capitalist class as a “dictatorship of the bourgeoisie.” Both phrases can cover a multitude of forms: a workers’ state can be more or less democratic depending on circumstances. In the early years, Soviet Russia had the most democratic system ever seen. Workers, soldiers and peasants attended elected ‘soviet’ (council) meetings in their thousands, to discuss, debate and take decisions. There were councils in workplaces, communities, rural and urban areas; in army garrisons, colleges and schools; at district, province, national and federal levels. Society was still far from equal, of course. Full equality can only be achieved on an international socialist system, with access to the full productive forces needed to ensure everyone has what they need. With the consolidation of the Stalinist bureaucracy, practically all traces of democratic practices were wiped out. Although it was based on the nationalised planned economy, with a monopoly on foreign trade and so on, this plan was imposed from the top. It eventually became a brutal totalitarian regime. Likewise, the “dictatorship of the bourgeoisie” can include a whole raft of forms: from parliamentary systems with relative freedom of expression, to fascist regimes. As far as Marxists are concerned, any state is ultimately an instrument of repression. To varying degrees, both fascist and parliamentary states use force to support big business interests against mass movements, and to prevent revolutions. The capitalist state defends the interests of a small, super-rich minority against the large, toiling majority. A workers’ state is also an instrument of repression – but aimed at defending the revolution against the old, exploitative regime. On taking power in Russia, the working class had to defend itself against attempts to retake it by the old tsarist forces backed by imperialist armies. It had to use the state to defend the interests of the majority. In Russia a large majority of the population were poor peasants. Nonetheless, the working class was the only social force which could lead the revolution. This was because it had the necessary economic power through its role in production and distribution, and collective strength through its concentrated working and living conditions, and consequent political consciousness and organisation. After the February revolution, the offices of state passed to the top–down ‘Provisional Government’, alongside of which rose the democratic soviets. Even when the Provisional Government included ‘socialist’ ministers – mainly members of the Mensheviks (who would be described in today’s mainstream media as ‘moderate’ or ‘centre-left’ socialists) and the Social Revolutionaries (SRs, a party with mass peasant support) – it failed to honour its promises to improve the lot of the peasants. For several months from March 1917, the workers’, soldiers’ and peasants’ soviets also had large majorities for the Mensheviks and SRs. Again, they failed to give land to the peasants. This was a major betrayal. Disillusionment with the SRs, coupled with the Bolsheviks’ proven record of solidarity with the poor peasants including peasants’ seizures of land for themselves, saw the peasants shift their allegiance during the course of 1917. It is completely incorrect to say that the Bolsheviks opposed the peasantry. In fact, the only possibility of liberation for the peasants was through the socialist revolution, linking their fate with the fate of the working class – and the spread of the revolution internationally.  It uses this example to criticise Tory prime minister Theresa May’s British government for downgrading art in education. Bad Art is in full agreement. That makes it all the more regrettable that the academy’s revolution show falls so far short of this aim. Trotsky’s forensic analysis of Stalinist Russia, ‘The Revolution Betrayed’ (1937), called it “a concentration camp of the arts” where innovative work had to be smuggled out like contraband. He detailed the bureaucracy’s counterrevolution: its attacks on party democracy, women’s rights and artistic freedoms, its economic policies – the lot. In 1938, he worked with André Breton, one of the founders of the Surrealist movement, and Diego Rivera, the Mexican muralist and revolutionary, to help set up an international movement of artists to campaign against the censorship and repression under fascism and Stalinism. This was part of his move to establish the new ‘Fourth International’. Trotsky – and what he, Lenin and the Bolsheviks stood for – posed the greatest danger to Stalinism: the idea that the workers could overthrow the bureaucracy and reintroduce a democratic system. Genuine socialism – in the first instance, of a workers’ state implementing a democratically organised plan of production, with international links – also represents the only viable alternative to profit-driven capitalism. These ideas face an all-out assault in this revolutionary centenary.  The opening shots were fired by the art establishment. For our part, we will continue to defend the idea that it is possible to build a world free of poverty, racism, war and terrorism. That we can live on a sustainable planet. And in addition, that a socialist system would be able to free up the time needed so everyone can run society – and can engage in the arts, sciences and many other social activities, raising cultural levels to new heights. First published in March 2017 in Socialism Today.